Discover the Portuguese countryside on a private full-day tour to Barcelos and Peneda Gerês National Park. Learn about 800 years of Portuguese history from your informative guide as you visit the medieval structures of Barcelos. 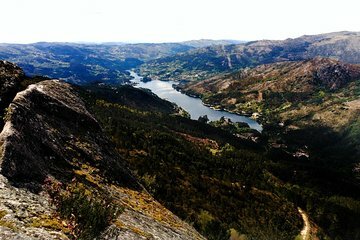 Then head to the UNESCO-listed Peneda Gerês park and observe the local flora and fauna as well as the Arado and Tahiti Waterfalls. Guide had great ground and historical knowledge of the local area. Prompt and efficient with a great deal of knowledge Pedro our driver/guide really went the extra mile for us we didn t return till 8pm- nothing was too much trouble. An excellent day out!